Is your dream to own an Ossipoff designed home with Stunning Ocean Views? Terrific rim lot location offers privacy and breathtaking views of the Mountains, Ocean and Diamond Head. Split level design with high beam ceilings, open floor plan, versatile living space is great for entertaining and abundant storage add to the special features of this unique home. Desirable elevation on Waialae Nui Ridge offers views and still amazingly convenient access to Kahala and Downtown. 2 Parking Spaces. 2 Car Garage, Carport. Landscaped. Other, County Road, Paved Road. 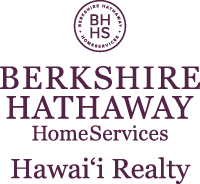 I am interested in 1633 Halekoa Drive, Honolulu, HI 96821. Sign up for Inside AccessTM to view recent sales near 1633 Halekoa Drive.